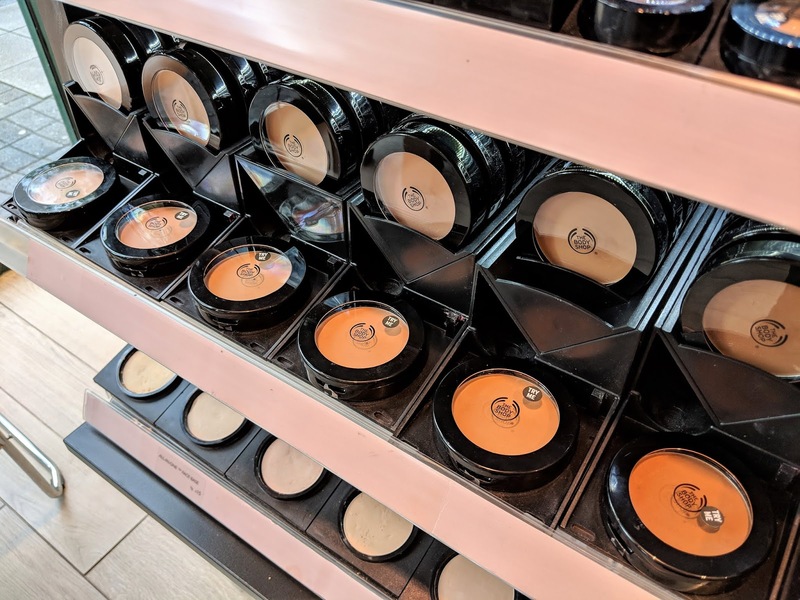 Just over a week ago, I attended a blogger event at The Body Shop in Coventry to hear more about their new launches of this season. Now I have been using products from The Body Shop as long as I can remember. It was definitely a brand I grew up with in the Netherlands, always carrying a tub of their lip balm in my bag and looking out for bath and shower gift sets to give to my friends for their birthdays. 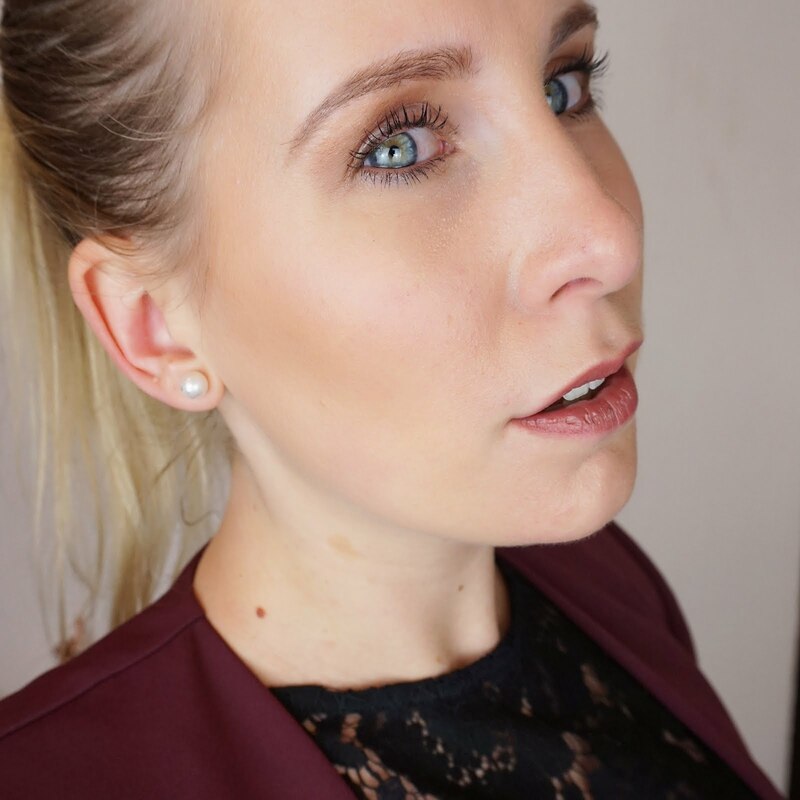 In this post I'll be sharing their latest bodycare, skincare and makeup launches with you. When it comes to bodycare, The Body Shop have always offered a wide range of products in every scent you can think of. This season however, they have gone completely bananas! 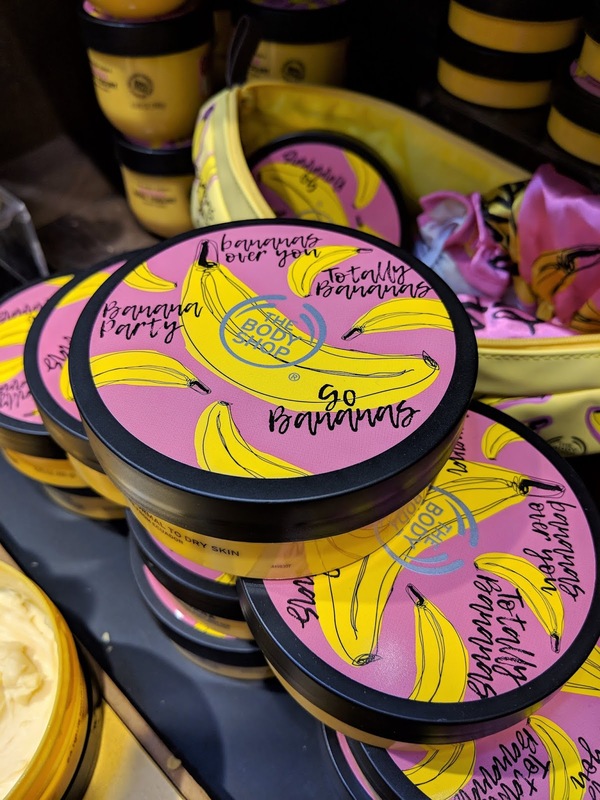 Yes that's right, they have created a whole line of limited edition products smelling of bananas! Now, not everyone wants to smell of bananas and to be honest I think I am one of them, but what I can say though is if you're thinking of chemically tasting banana sweets, you've got it wrong. 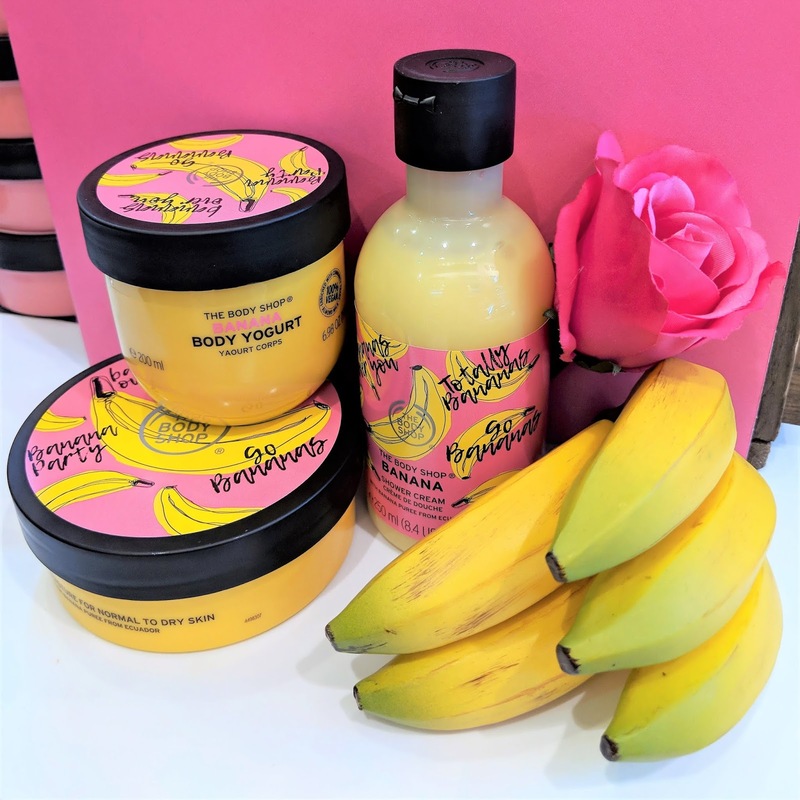 This range smells of fresh bananas and the scent is actually not too overpowering. 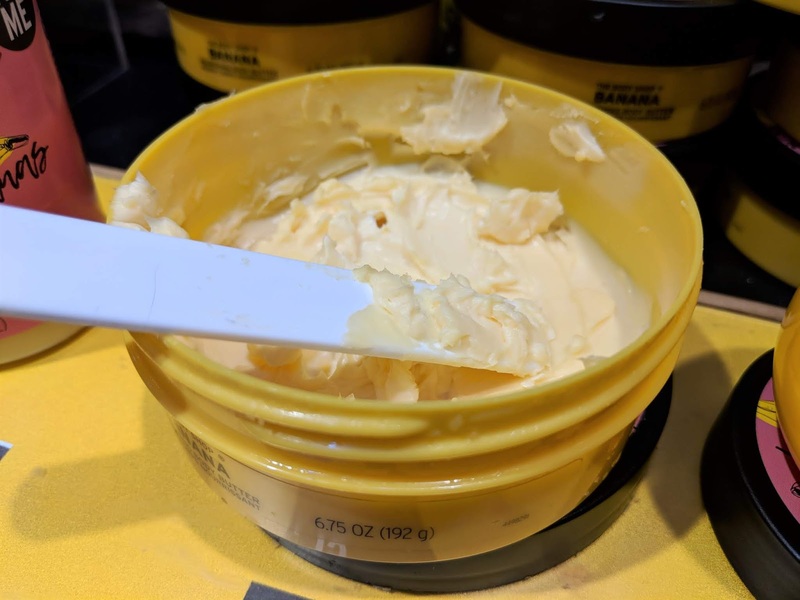 The range consists of a shampoo, conditioner, hair mask, body butter, body yogurt and body shower cream, and is made from bananas sourced from Ecuador. 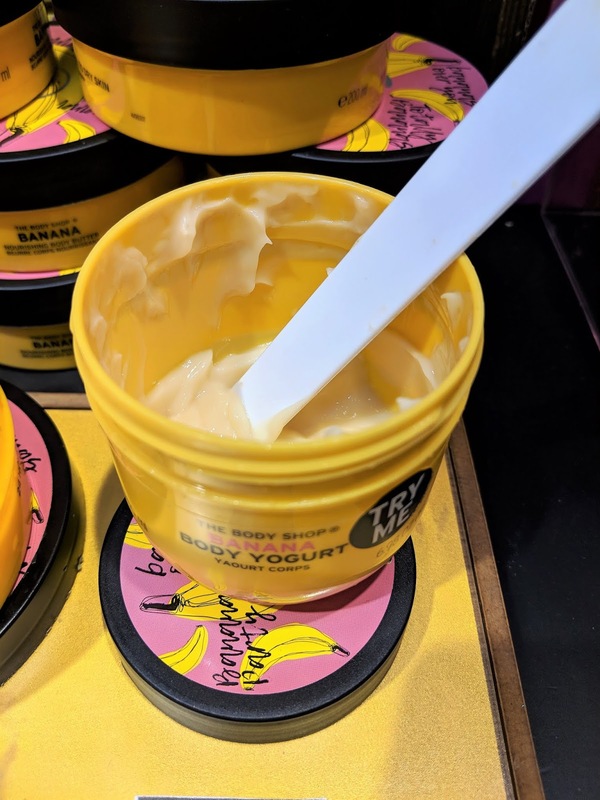 On the evening I tried both the Banana Body Butter (£6 for 50ml, £15 for 200ml) and Banana Body Yogurt (£8.50 per 200ml). For those not familiar with these, the body butter is 100% vegetarian, has a creamy, thick consistency and offers 24h intense moisture. It does however take a while for the butter to be absorbed into the skin. The body yogurt on the other hand has a more lightweight consistency, soaks into the skin super quickly (it only takes 15 seconds! ), can be used on both damp and dry skin and is 100% vegan. I tried the body butter on one arm and the body yogurt on the other and at the end of the evening I could really tell the difference. If you've got dry skin and are looking for a rich moisturiser, the body butter is definitely your go-to. 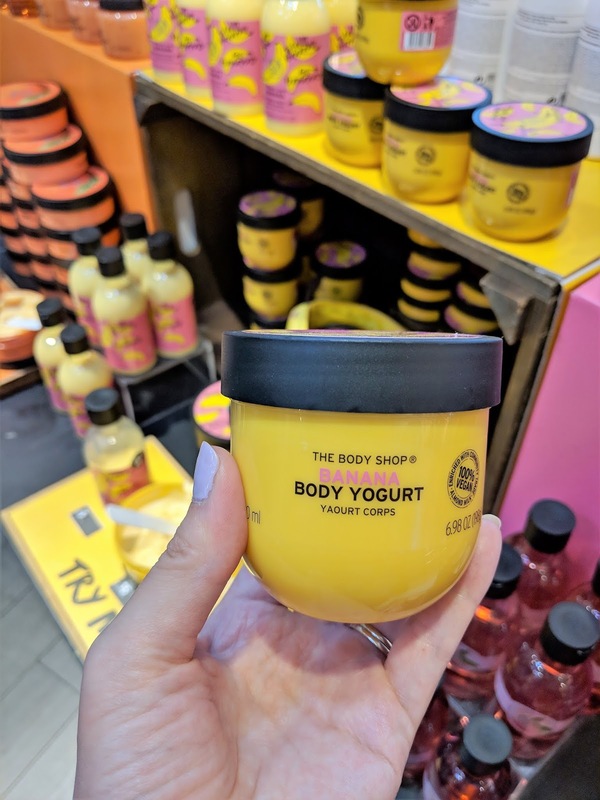 I am however not a big fan of heavy products on my skin, so for me it would have to be the body yogurt as it is fully absorbed into my skin, and makes my skin feel super moisturised without leaving that greasy feel. Next up is a new face mask: the Mediterranean Almond Milk with Oats Instant Soothing Mask (£17 per 75ml). This face mask is a gentle exfoliator and has been specifically designed for sensitive skin. It's 100% vegan and has a creamy, porridge-like consistency, made with oatmeal from the UK and organic almond milk from Spain. It promises to relieve dry, sensitive skin from tightness and itchiness, whilst gently exfoliating leaving the skin feeling super soft. I haven't tried the mask on my face yet, but I have tried it on the back of my hand and I can tell you it feels amazing! I can't wait to give this mask a proper go. 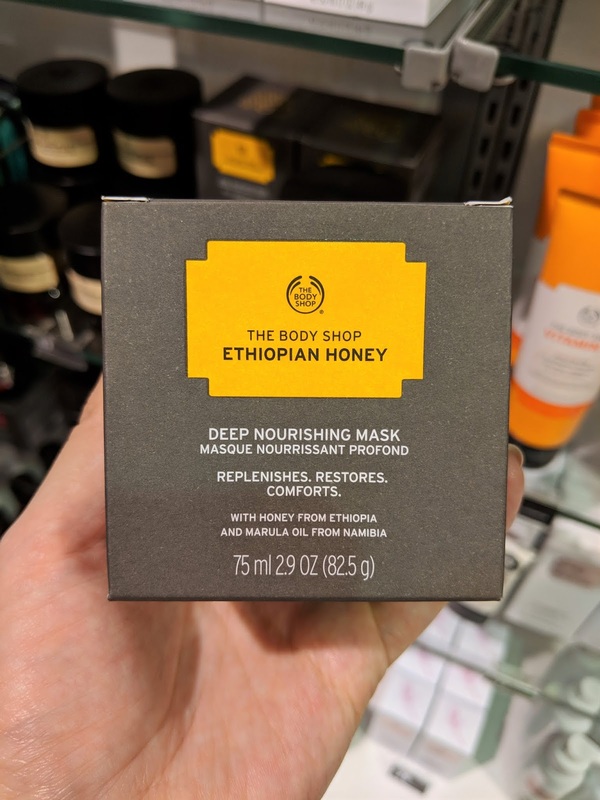 Another great mask to try if you, like me, have combination skin, is the Ethiopian Honey Deep Nourishing Mask (£17 per 75ml). 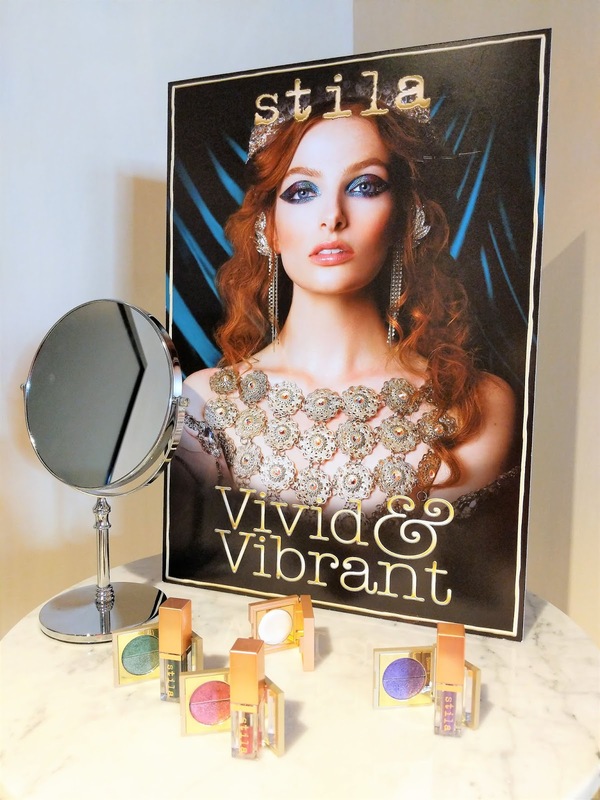 Before I wrap up this blog post, there are a couple of makeup launches I want to share. First up is the newly released Matte Clay Powder (£8 per 10g). This pressed powder was released a couple of weeks ago and comes in six different shades that compliment the Matte Clay Skin Clarifying Foundation (£10 per 30ml) which is available in 10 different shades. The Matte Clay Powder is 100% vegan and offers full coverage with a matte finish. It can be used as a base or on top of another foundation. The powder contains breathable tea tree oil, clay for a shine-free finish, and conditioning marula oil from Namibia. Finally The Body Shop have released the new Shine Lipstick which is now available in 17 different shades. 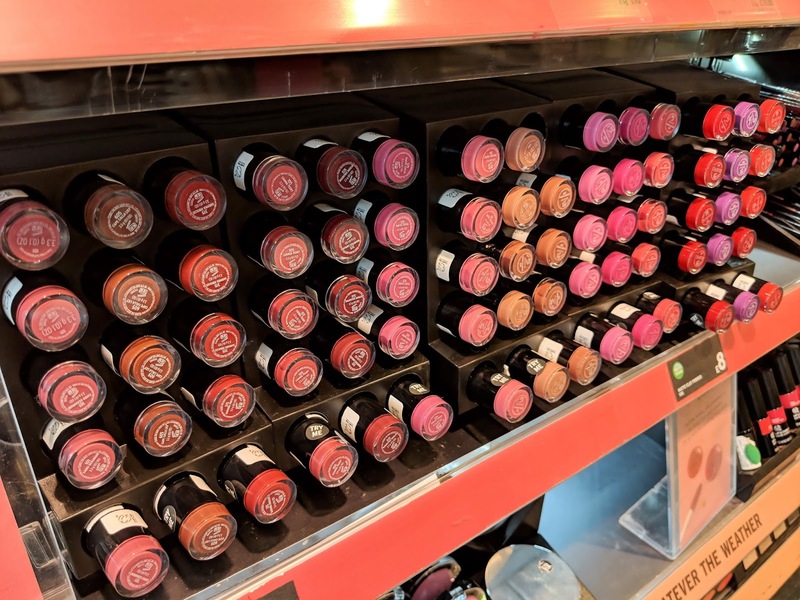 The Body Shop have had some good ranges of matte lipsticks but the Shine Lipstick was created for those who fancy something different. The lipstick is long-lasting, contains cherry oil and bees wax together with marula oil, and is best applied with a brush. The lipstick conditions and moisturises the lips and there is no need to scrub the lips prior to application. During my visit to The Body Shop I have fallen in love with their products all over again. The quality of the products versus the price paid is on point and all I want to do now is indulge and try everything! Hopefully this post has given you some new ideas and if you're not sure of anything, just pop by your local store, the staff are super friendly and helpful! A big thankyou to The Body Shop Coventry for having us and to Emily from Drainedbeauty for organising this evening. Have you tried any of the new products? What are your thoughts? Love this post! Such amazing reviews, thank you for coming, was lovely to meet you! I love this brand. 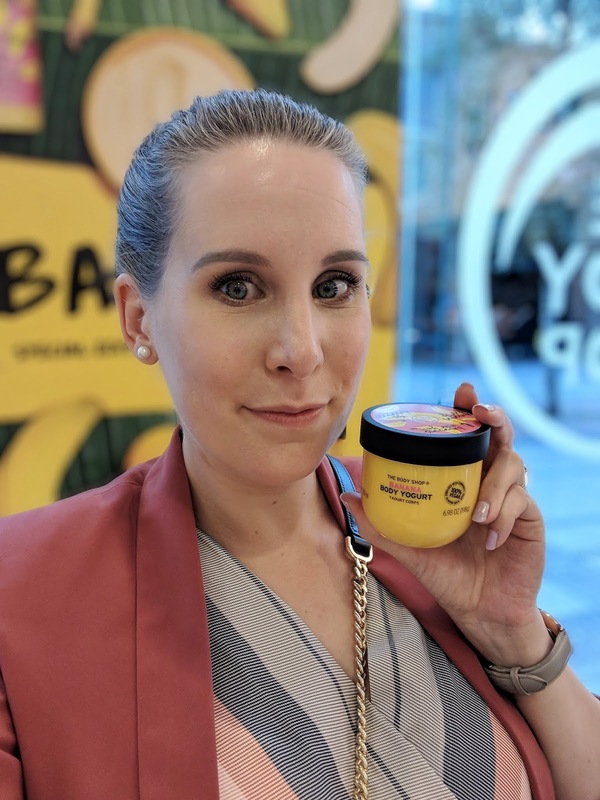 The Body Shop is one of the first skincare brands I used and I loved the Kiwi Lip Balm, back in the day. My other favourites were and still are The Tea Tree face scrub and the Vitamin E moisturiser. I do like bananas but am not sure I would purchase anything from that particular range. 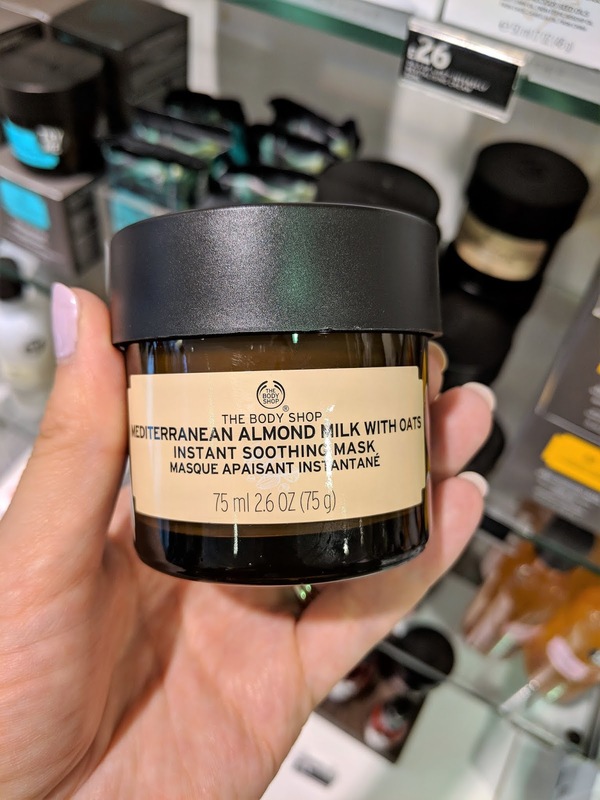 I would love to try the Mediterranean Almond Milk with Oats Instant Soothing Mask and the Ethiopian Honey Deep Nourishing Mask.